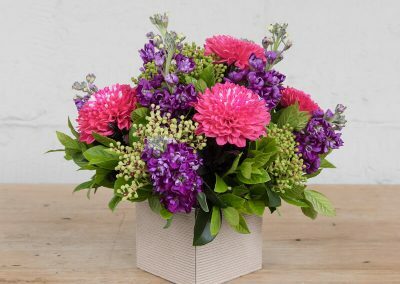 Our beautiful box arrangements are offered in three sizes with a variety of floral designs in a myriad of colours. 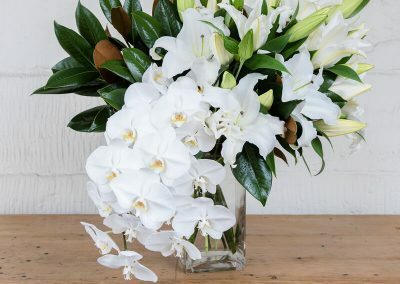 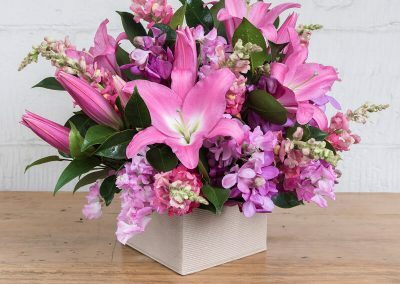 Occasionally, if a flower pictured is unavailable for any reason then our team of expert florists will substitute the bloom for a flower of the same value. 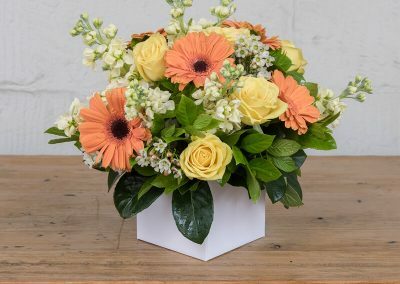 Should you have any specific requirements regarding flower content or price then please call our team on 02 9746 5511 to discuss a bespoke arrangement. 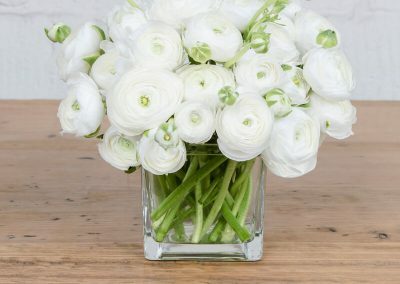 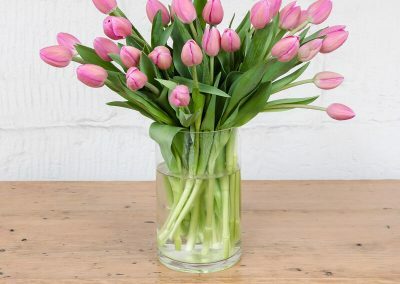 Our elegant floral arrangements are presented in elegant vases in varied sizes (vessel included in the price) with your choice of simple and divine sweet peas, hyacinths, tulips.